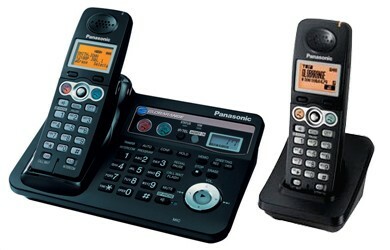 The new GLOBARANGE of Cordless phones from Panasonic allow you to make land line and VOIP calls using the same unit without the need for a PC. Simply plug your GLOBARANGE base unit into your network router and your traditional land line phone socket and off you go. GLOBARANGE phones come with a special joip phone number in addition to the land-line number. Even when one line is being used, calls can be received on the other line by the base unit’s speakerphone or an additional handset. This is a major convenience for large families and SOHO users. The BB-GT1540E features a 45 minute digital answering machine which will record messages from both your land calls and your VOIP calls. Also featured is a keypad and speakerphone on the Base unit, allowing you to make and receive calls via the base. For more information on GLOBARANGE, visit the official website, here. For more information on joip, visit the joip site here.